Australia has complained at the World Trade Organization about the rules applied to sales of wine by Canada and various provinces, a WTO filing shows. Australia has complained at the World Trade Organization about the rules applied to the sale of wine by Canada and various Canadian provinces, a WTO filing showed on Tuesday. "It appears that a range of distribution, licensing and sales measures such as product markups, market access and listing policies, as well as duties and taxes on wine applied at the federal and provincial level may discriminate, either directly or indirectly, against imported wine," Australia said. In October, the United States accused British Columbia of giving an unfair advantage to local vineyards by giving their wine an exclusive retail channel in grocery stores and cutting out U.S. competition. Australia's complaint expanded the U.S. argument, saying that not only British Columbia but also Ontario, Quebec and Nova Scotia, as well as the Canadian government, have policies on wine that break WTO rules. A spokesperson for Global Affairs Canada said the distribution and sale of alcoholic beverages falls under provincial authority. 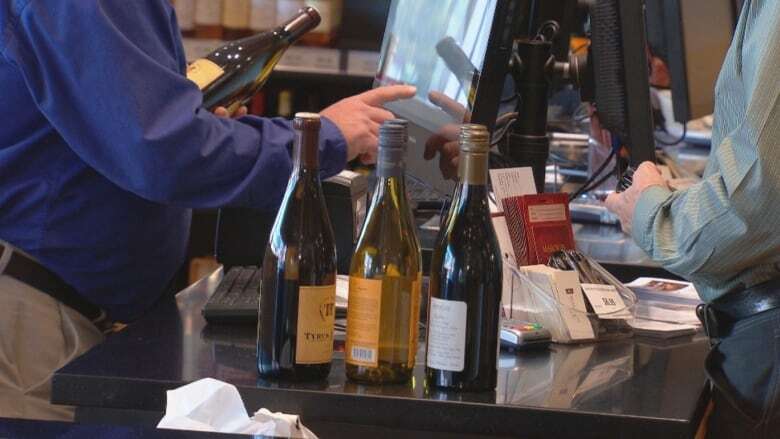 "The government works closely with all provinces and territories to ensure their liquor distribution and sales policies are consistent with our international trade commitments and will continue to give careful consideration to a request for consultations from any WTO member," said Natasha Nystrom in an email to CBC News. Ontario's Ministry of Finance — which is responsible for policy regarding alcohol and the Liquor Control Board of Ontario (LCBO) — said it takes its international trade commitments seriously and will work with Global Affairs Canada in responding to Australia. "While import wines are a key category in the LCBO, representing 76 per cent of wines sold, we are also proud of our efforts to support local Ontario wineries," a spokesperson for the ministry said in an emailed statement. The Australian newspaper reported that Australia's Trade Minister Steve Ciobo launched the WTO proceedings after bilateral talks with Canada broke down. Canada is reported to be Australia's fourth-largest wine export market, with a value of about $197 million Cdn, putting it behind China, the United States and Britain. Australia has seen exports of bottled wine to Canada almost halved between 2007 and 2016, although sales to Britain and the United States, once its top export markets, have fallen by even more. "Australia has requested formal WTO consultations on measures discriminating against Australian wine imports that we consider to be clearly inconsistent with Canada's WTO commitments," the newspaper quoted Ciobo as saying. "Canada's inconsistent measures include extra taxes, fees and markups on imported wine, separate distribution channels reserved for Canadian wine, and restricting sale of imported wine in grocery stores to a 'store within a store,'" Ciobo is reported to have said. The dispute is the first brought by Australia against Canada in the history of the WTO, and follows a rise in trade tension between Canada and the United States. Under WTO rules, Canada has 60 days to settle the dispute with Australia. After that, Australia could ask the WTO to adjudicate, with a view to forcing Canada to change its laws or risk trade sanctions.